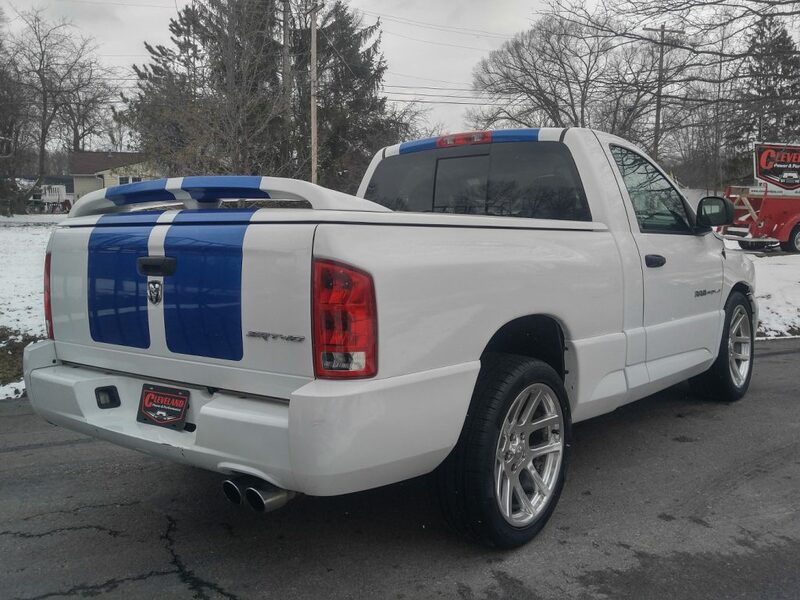 Cleveland Power and Performance is proud to present this lightly hit Commemorative edition 2005 Dodge Ram SRT-10! 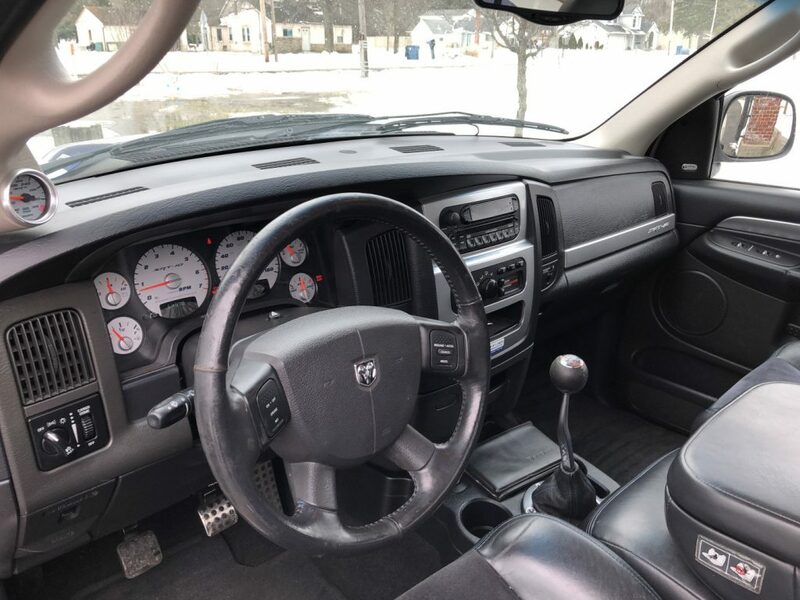 This standard cab SRT-10 truck is one of only 200 produced and is loaded with all of the features that you would expect from the SRT line. 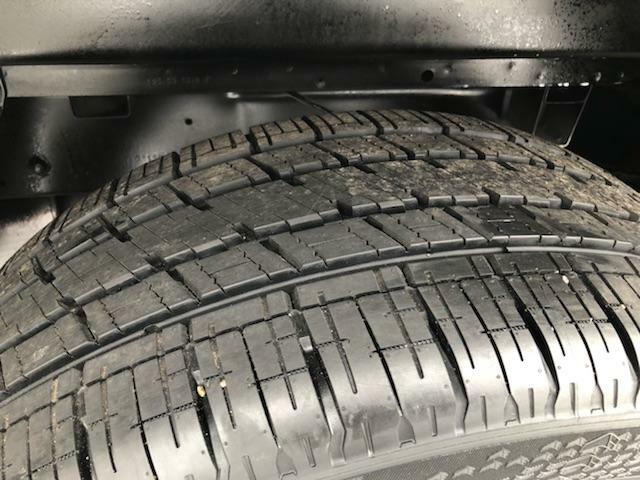 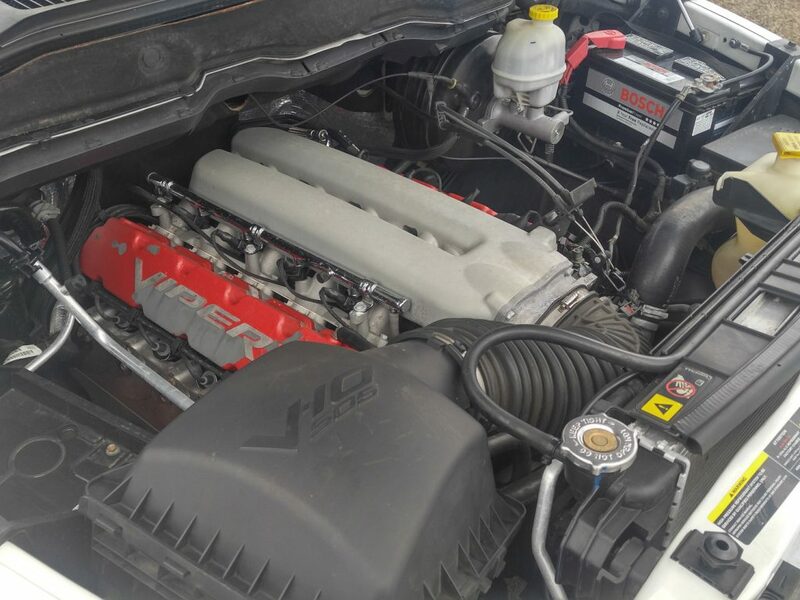 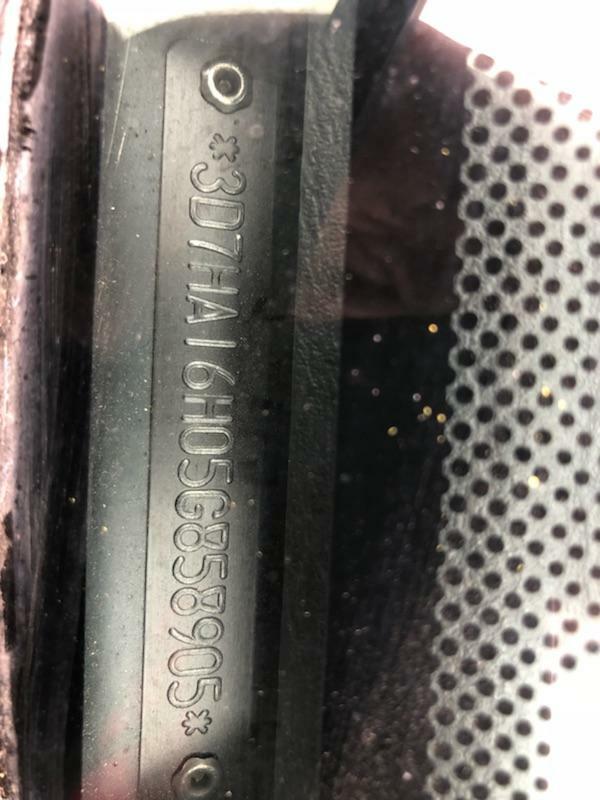 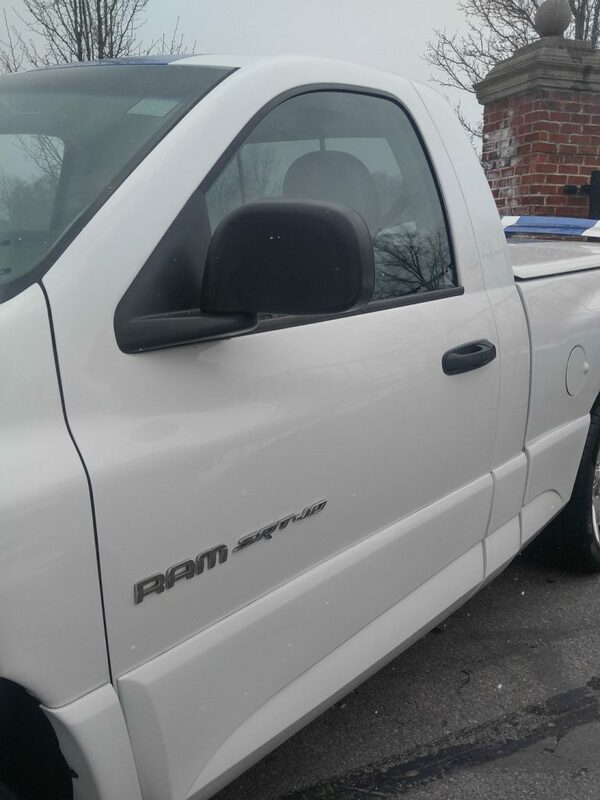 This Ram has only 64K miles on it! 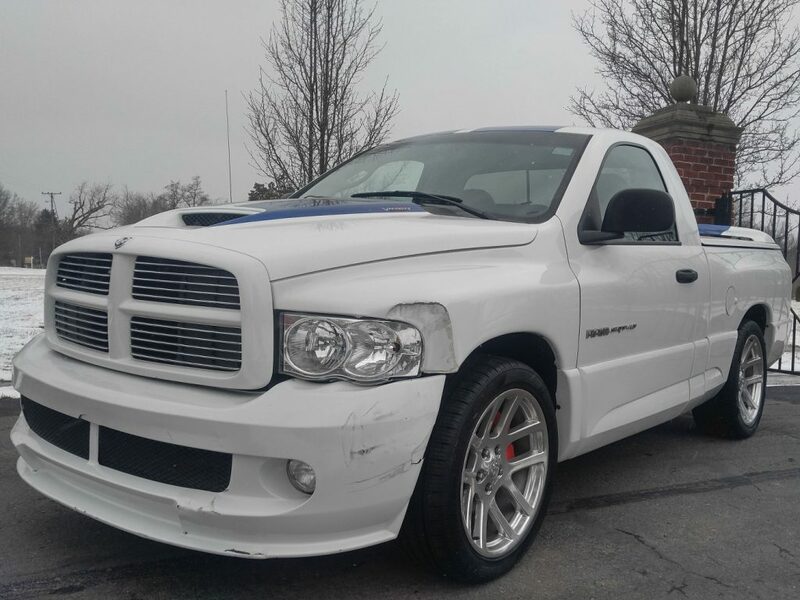 This truck could be rebuilt or used as a donor for your classic Mopar pickup project! 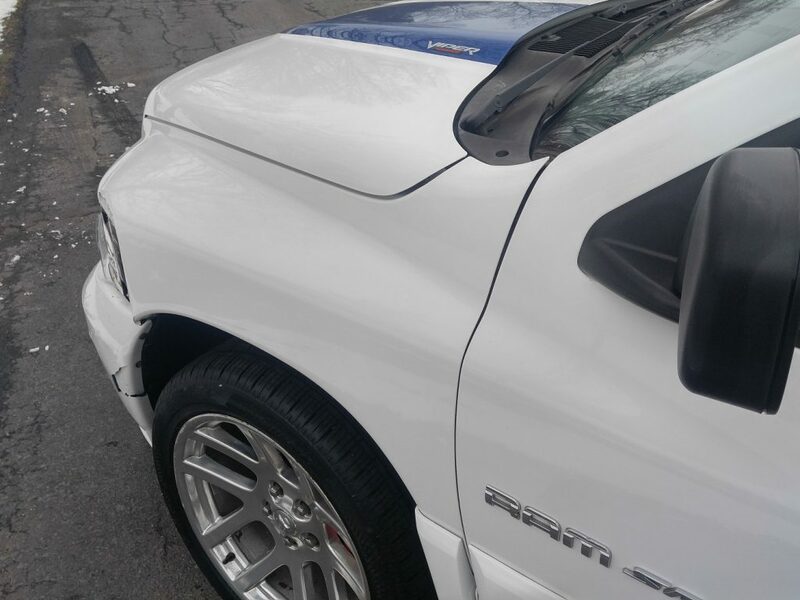 THIS IS OUR THIRD COMMEMORATIVE EDITION RAM SRT-10. 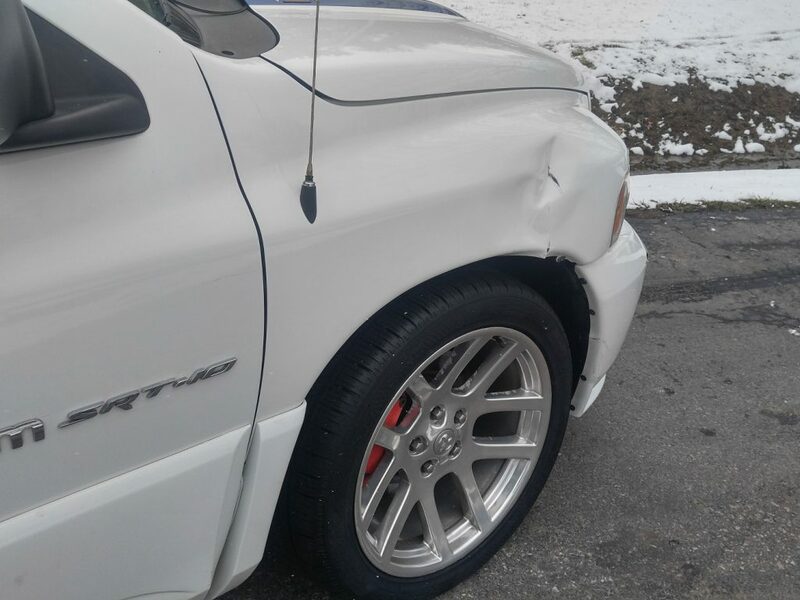 THE OTHERS WE HAD WERE PARTED AND EVENTUALLY SCRAPPED. 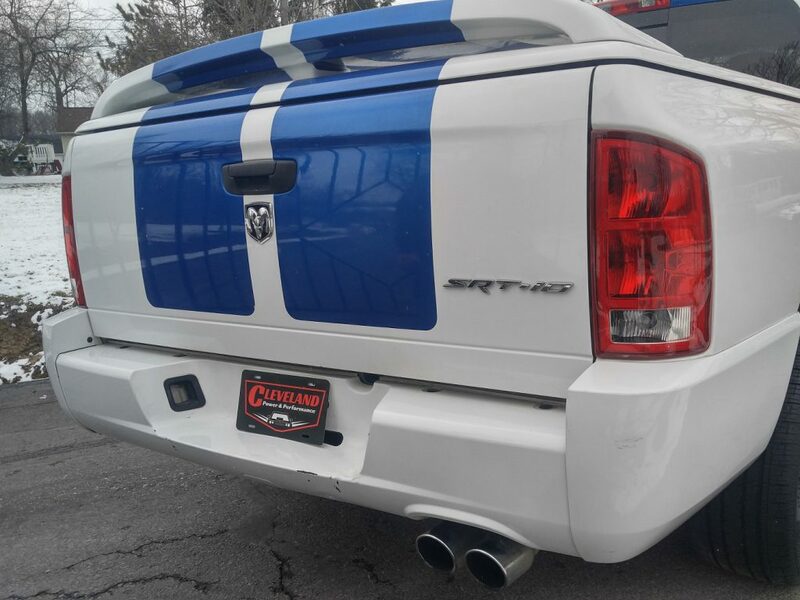 THIS IS ONE OF AT MOST 198 COMMEMORATIVE EDITION VIPER TRUCKS THAT ARE STILL ROAD WORTHY. 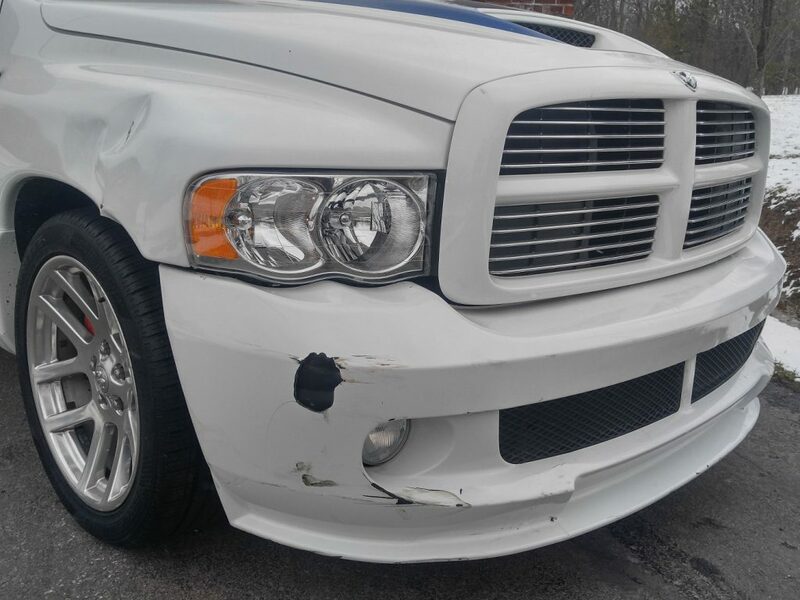 We purchased this Ram after it was involved in a light collision. 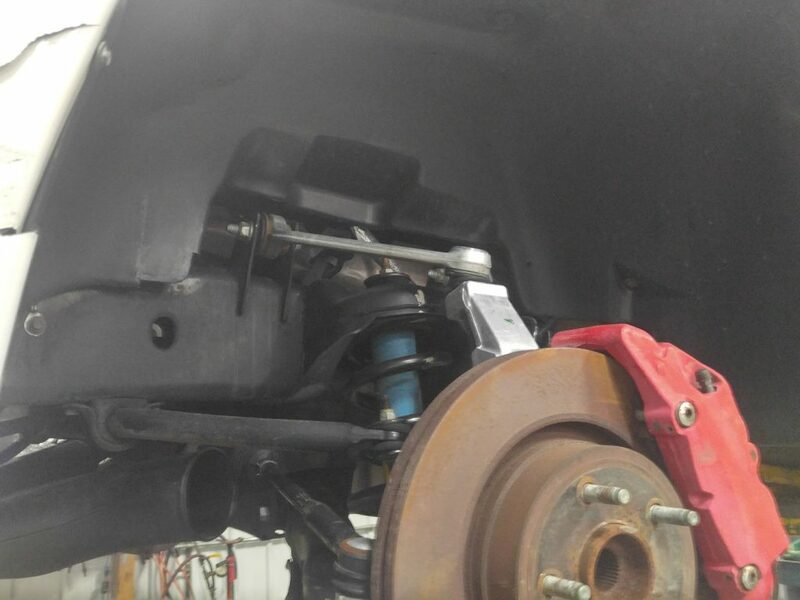 We replaced the passenger front upper control arm and spindle. 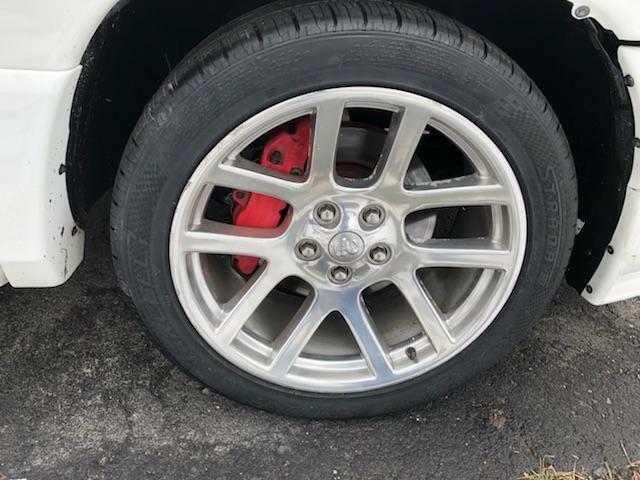 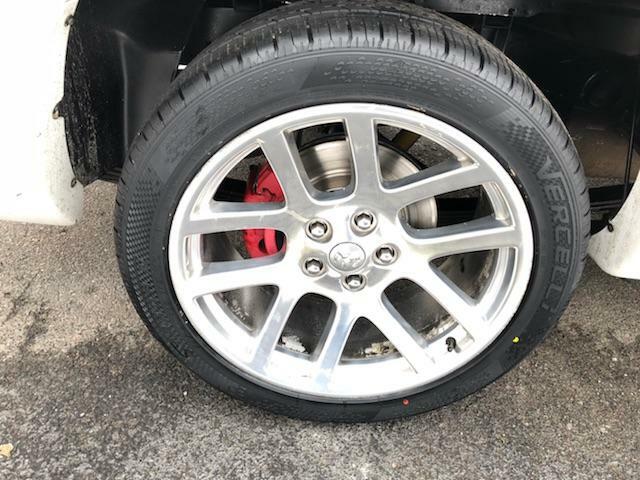 We also put on a set of OEM polished rims with brand new tires. 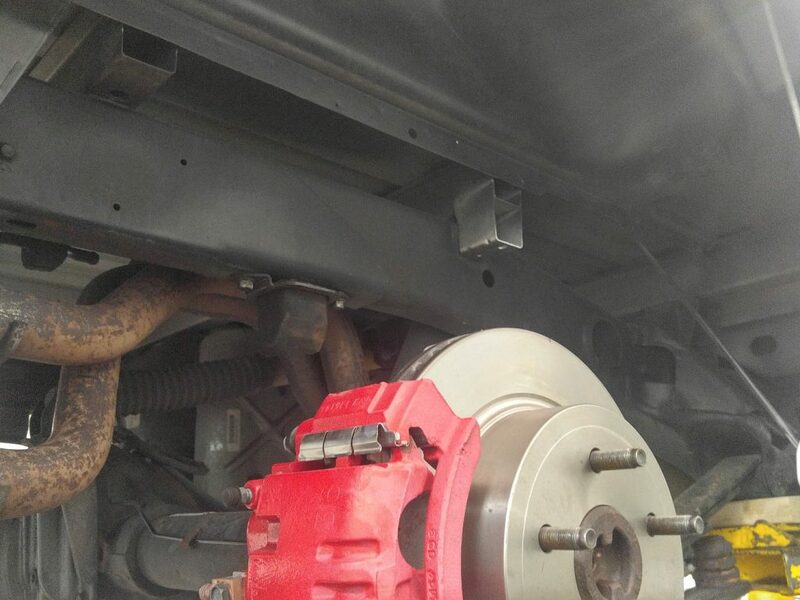 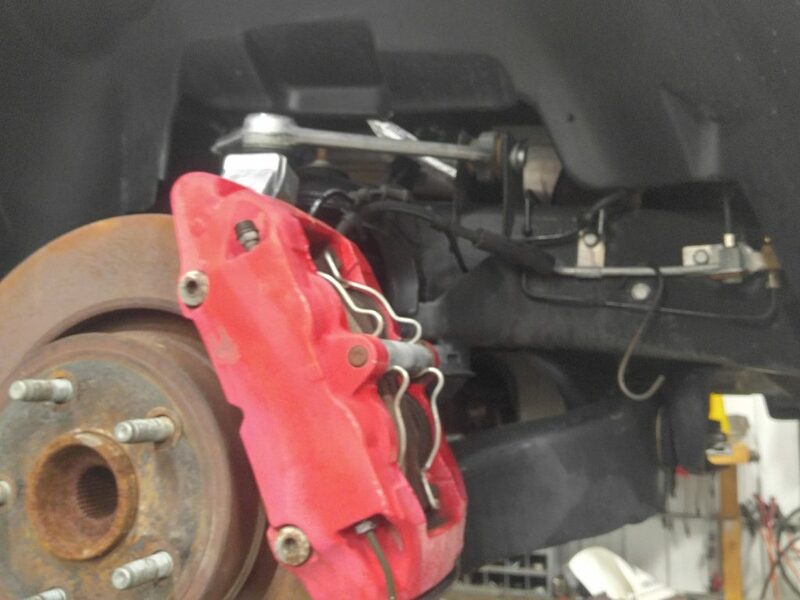 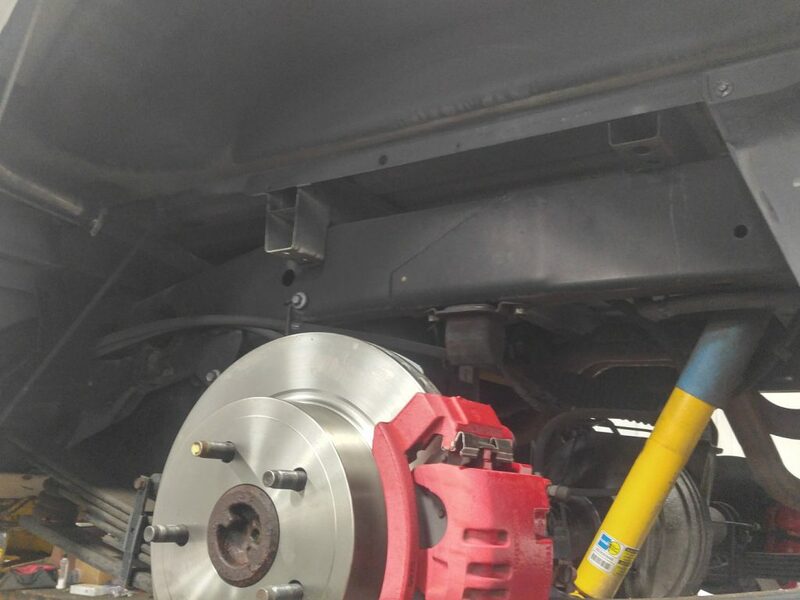 We installed two new rear rotors since the ones on it were under spec. 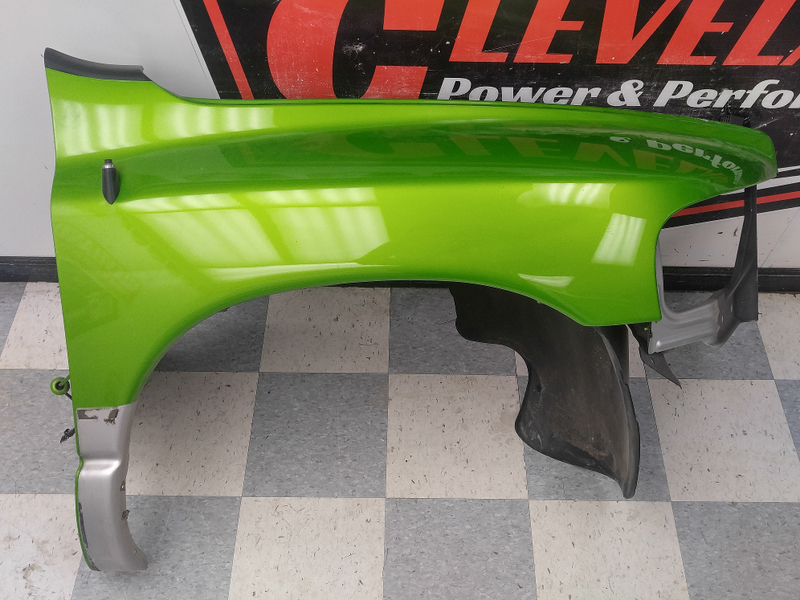 The frame was measured here in our shop and appears to be undamaged from the collision. 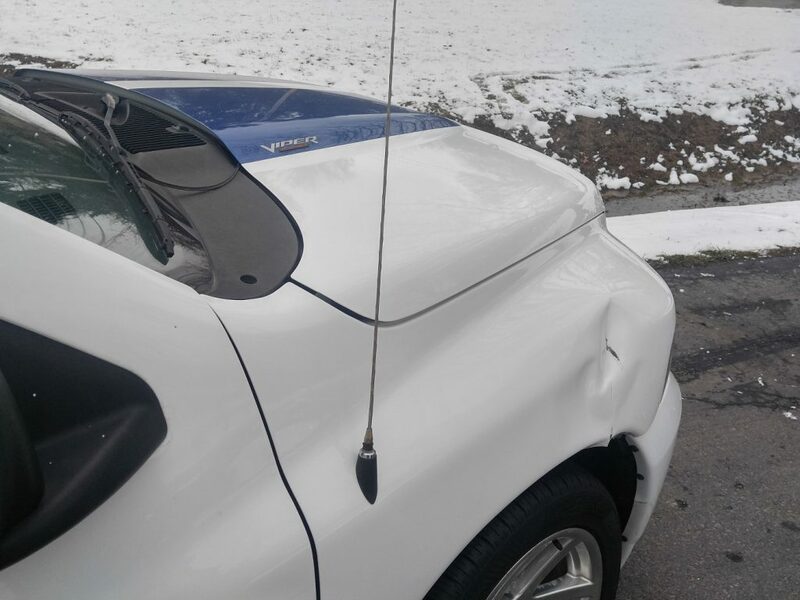 There are some cracks, dents, scratches and scuffs on the body panels. 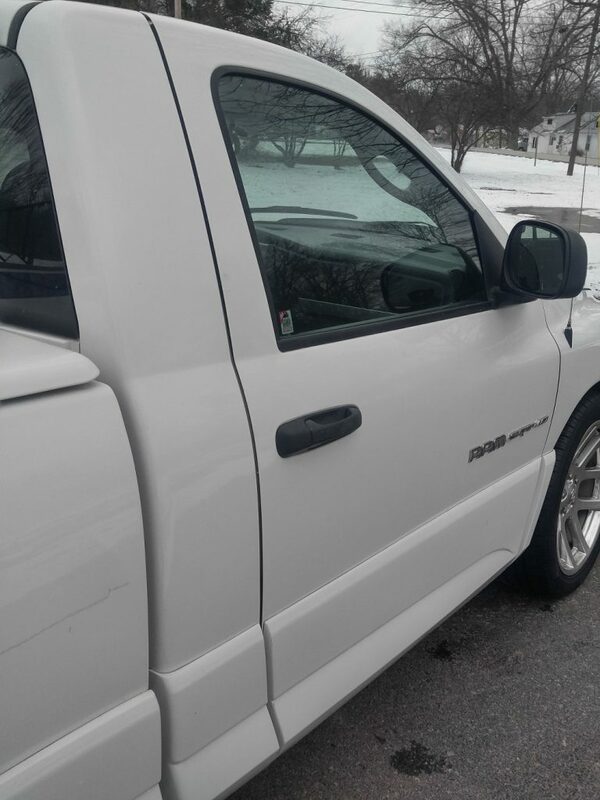 Please make sure to look through all pictures and ask any questions you may have. 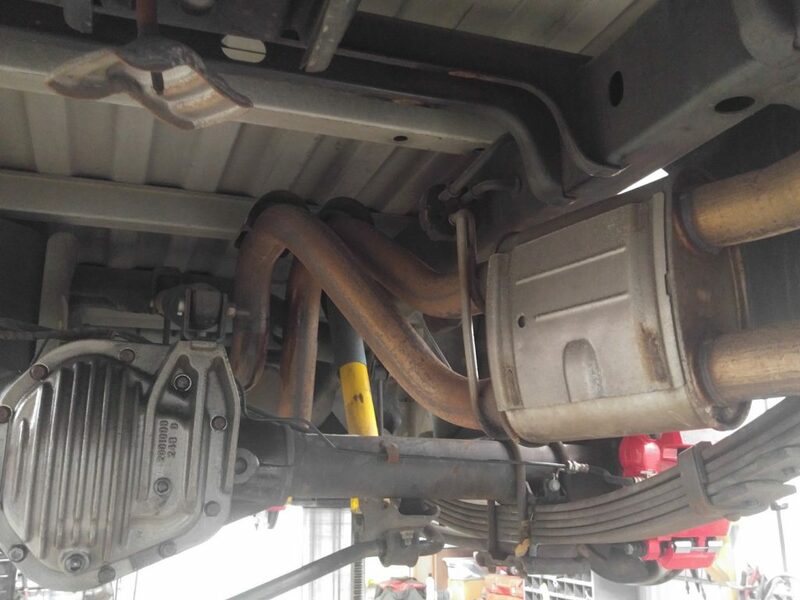 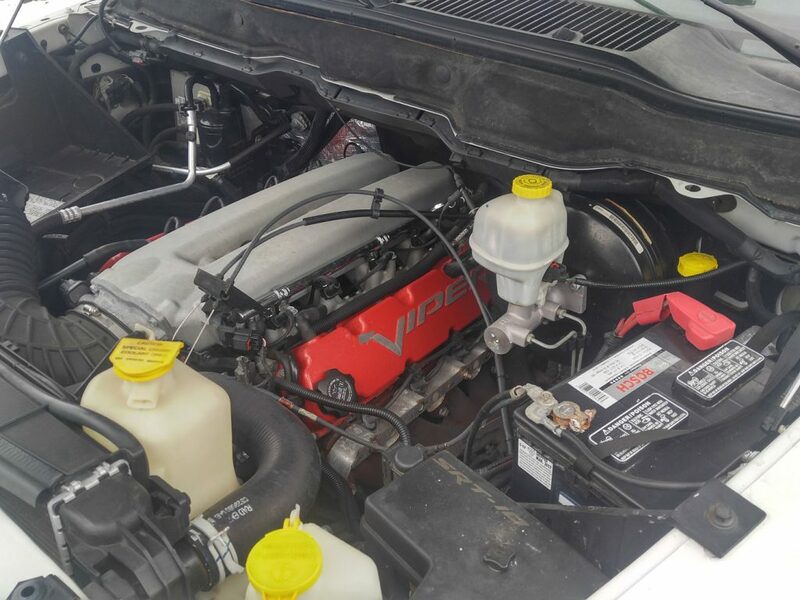 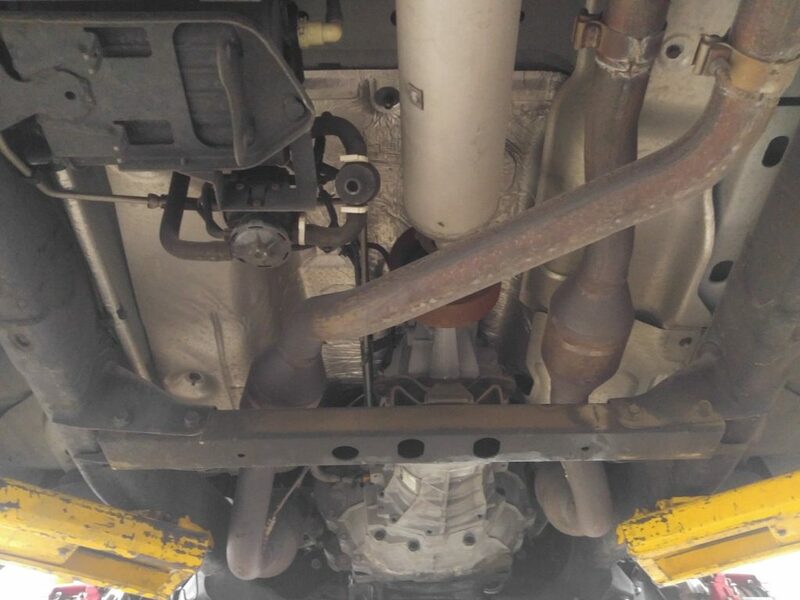 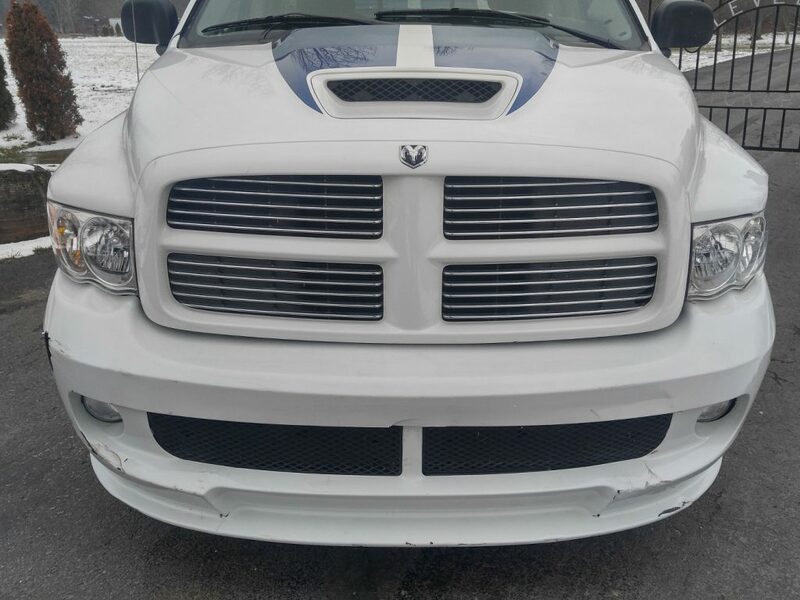 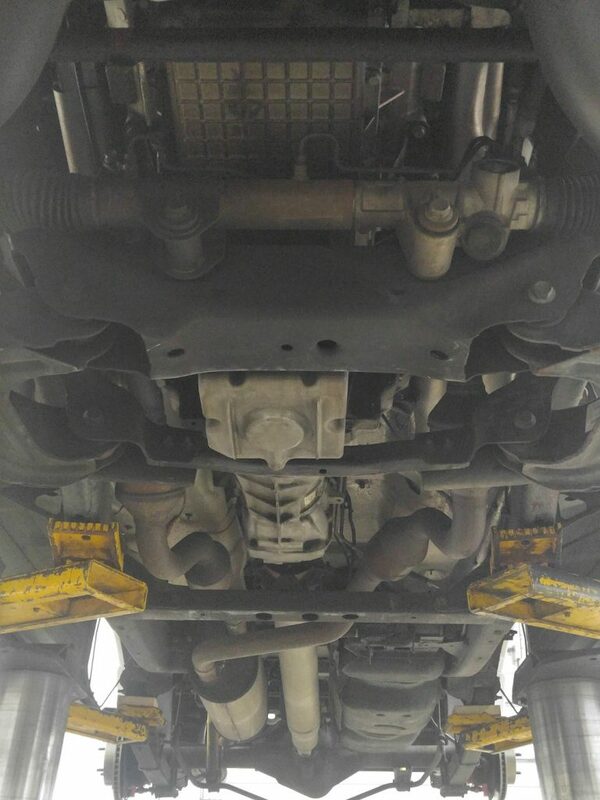 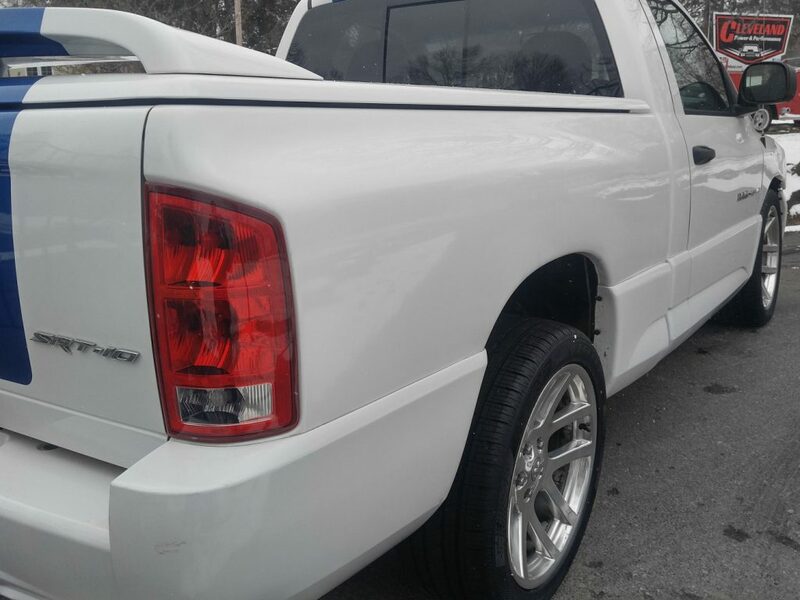 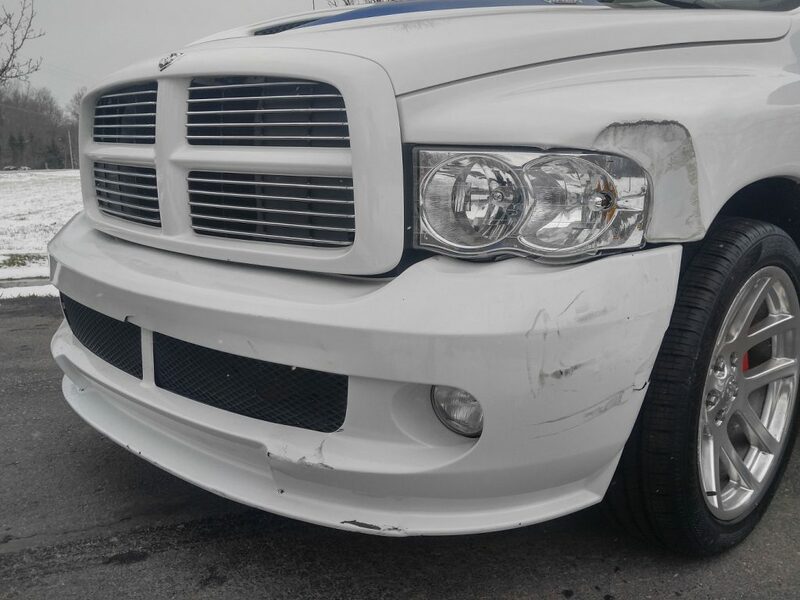 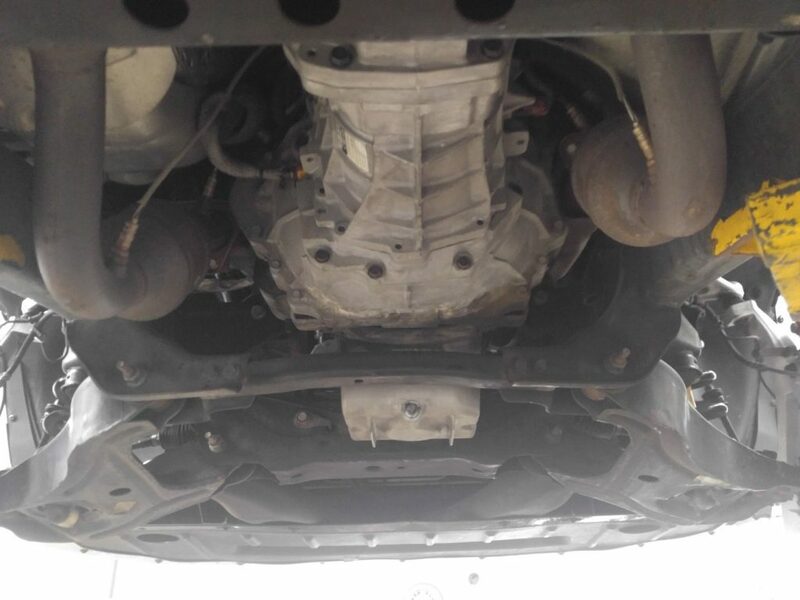 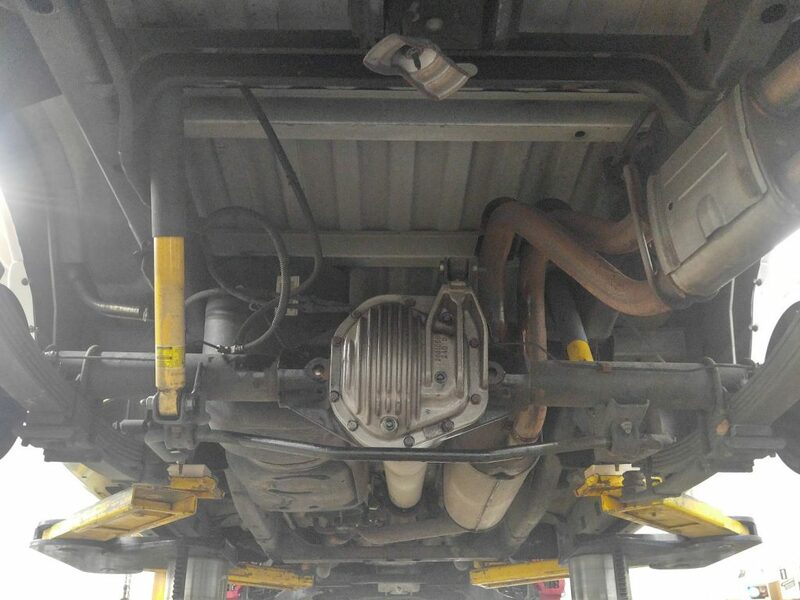 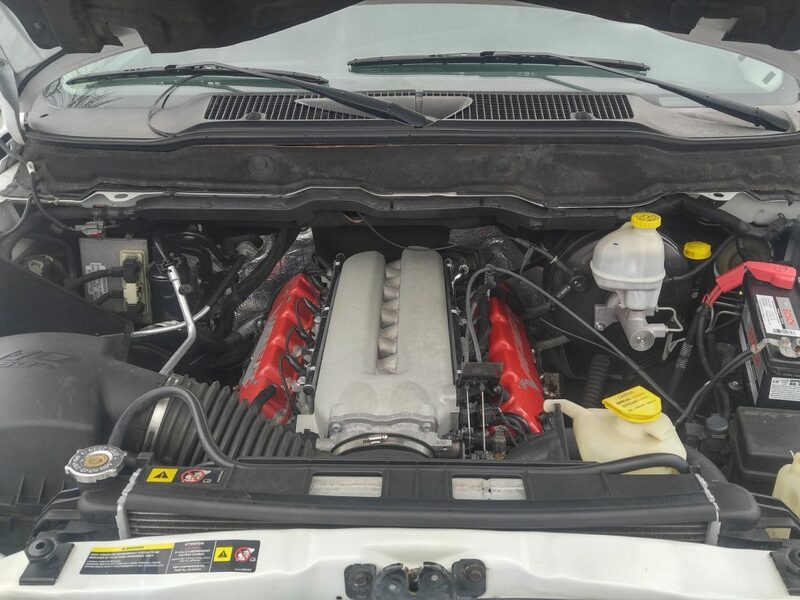 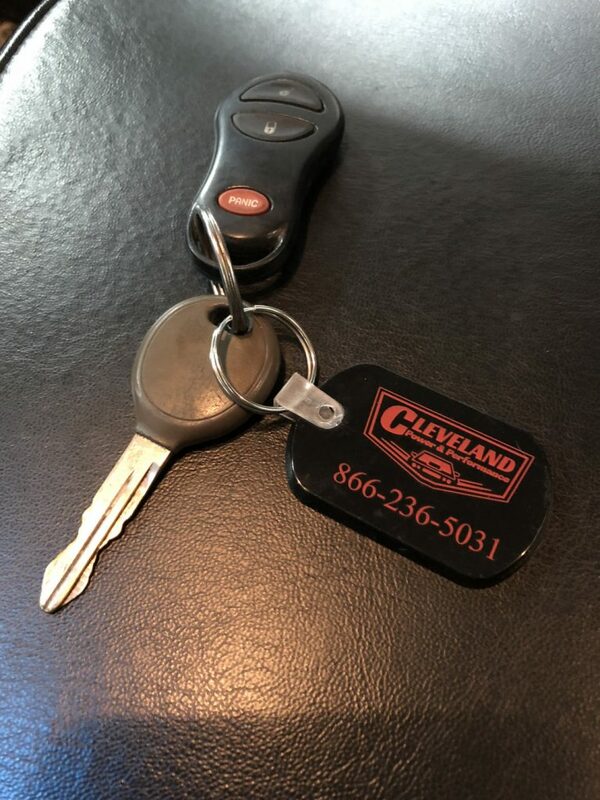 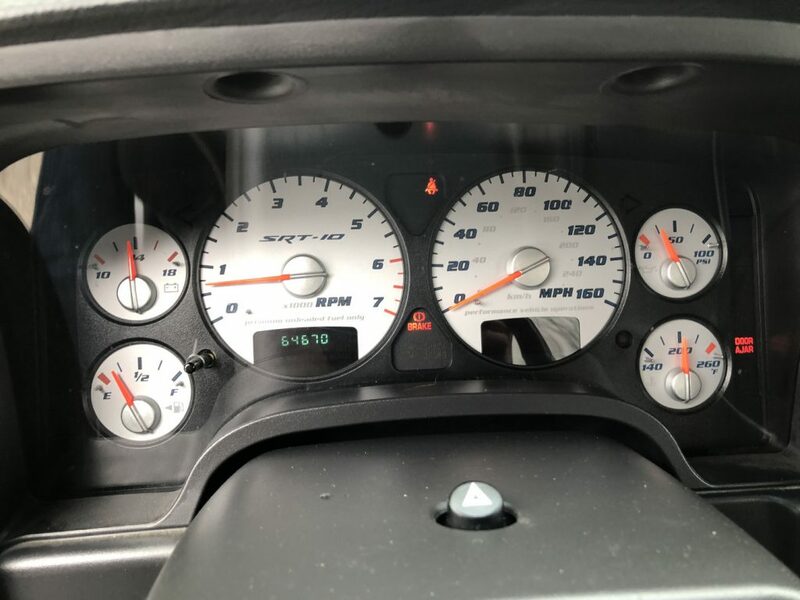 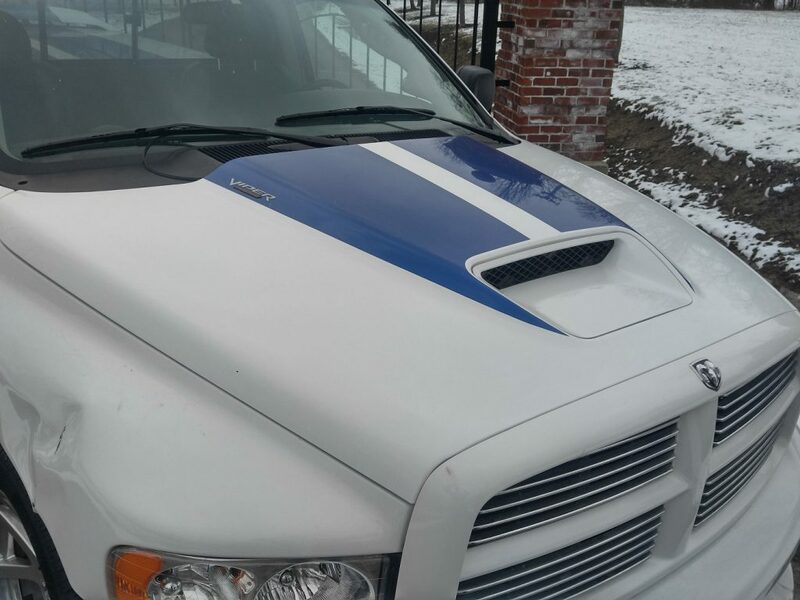 This Dodge Ram is being sold with an actual mileage Ohio salvage title. 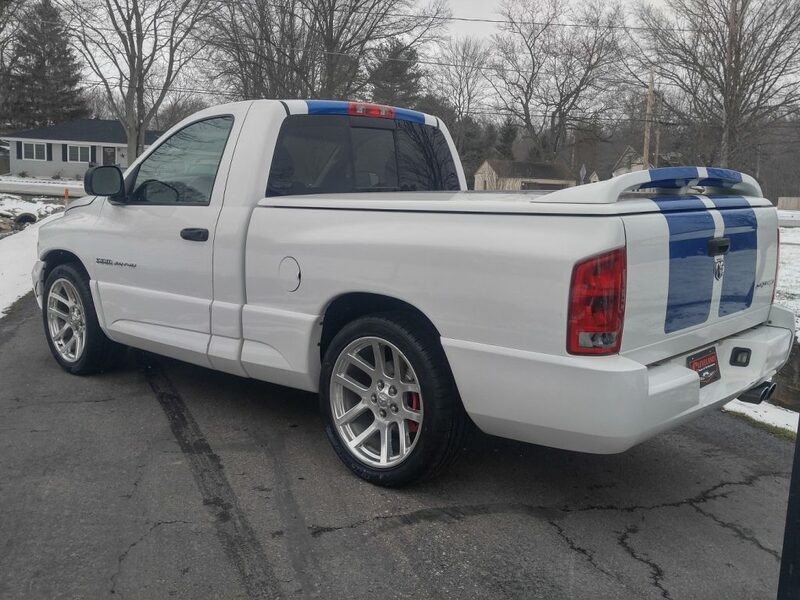 This Ram SRT features the awesome 8.3L “Viper” engine which produces 500HP and 525ft-lbs of torque! 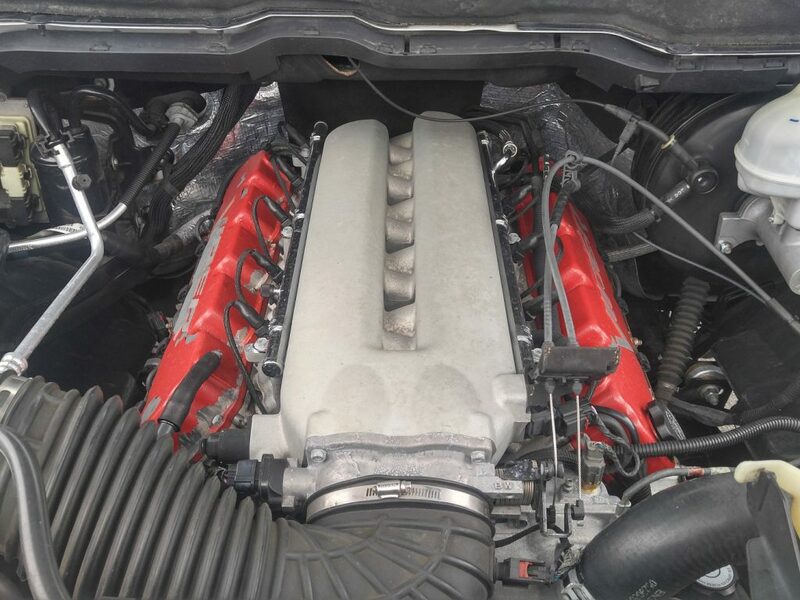 Mated to the 8.3L is the stout Tremec T-56 6 speed manual transmission. 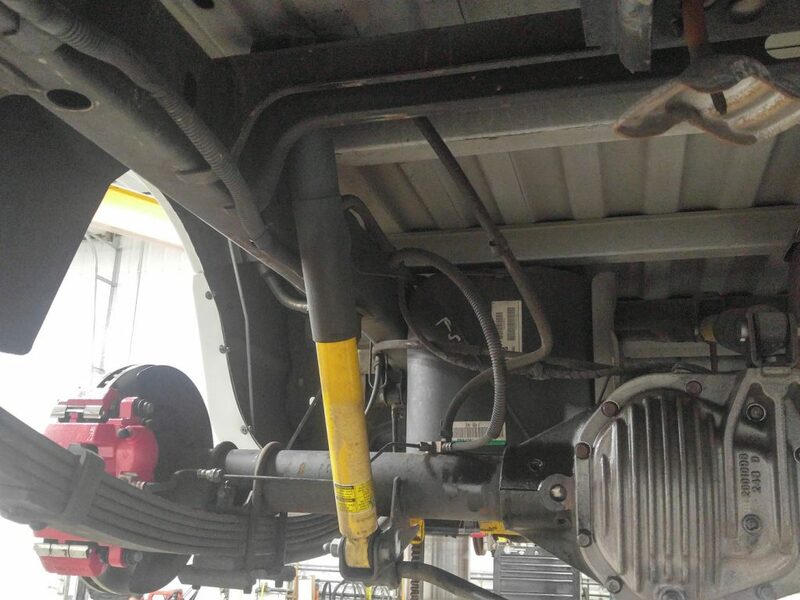 Putting the power to the wheels is the factory Dana 60 rear axle with a 4.56 gear ratio. 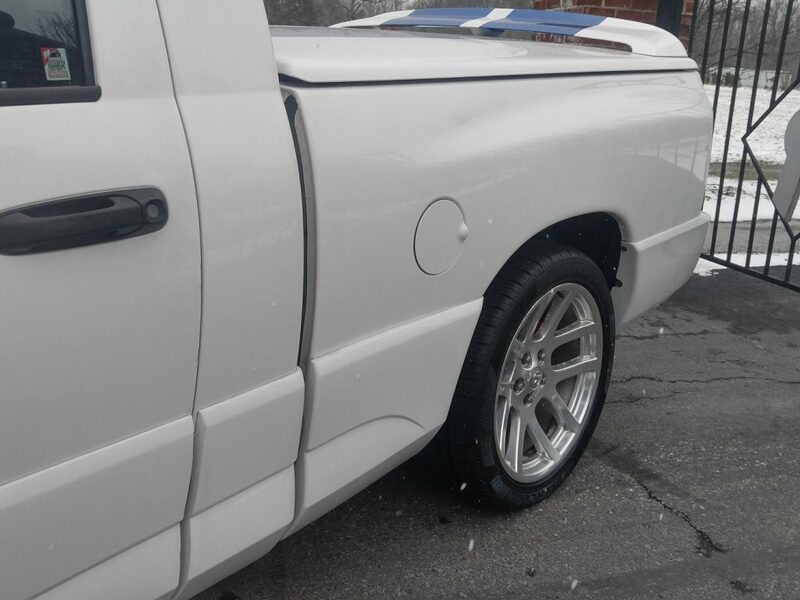 Before we purchased this Ram, it spent its entire life in sunny California! 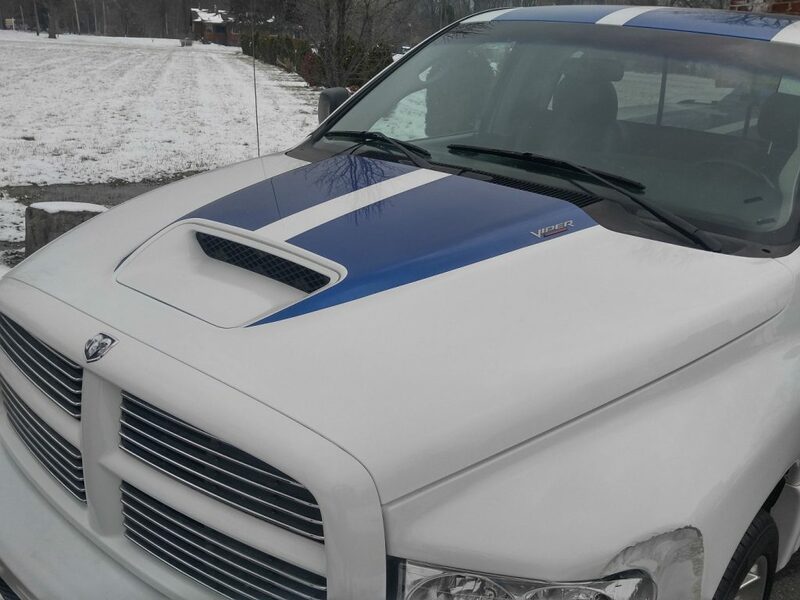 This Commemorative edition Ram is #105 of 200. 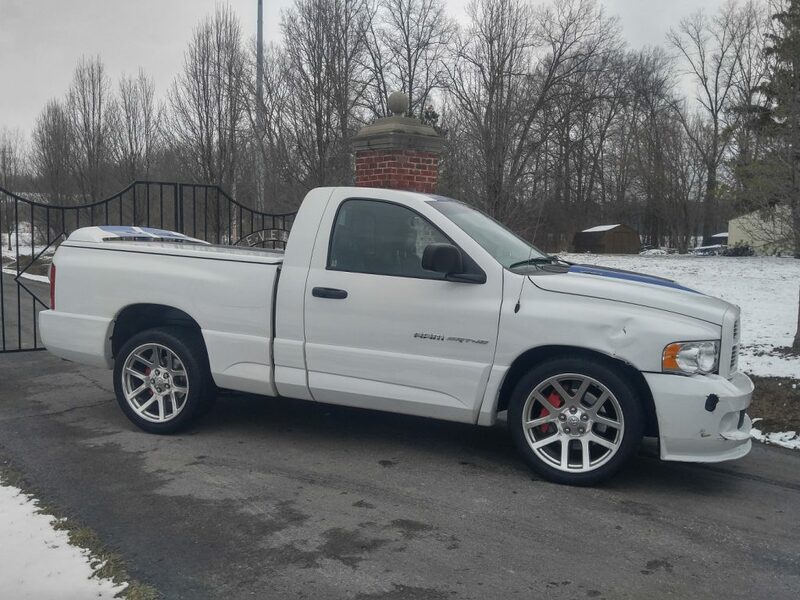 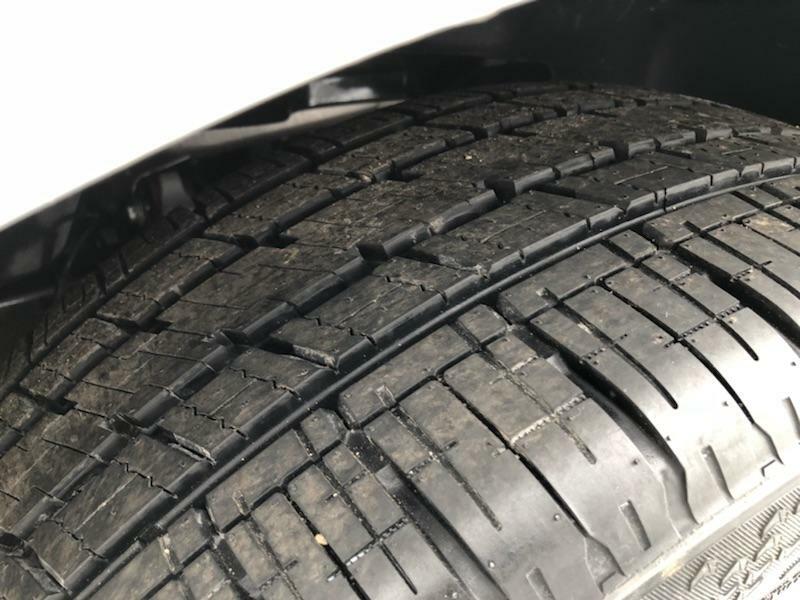 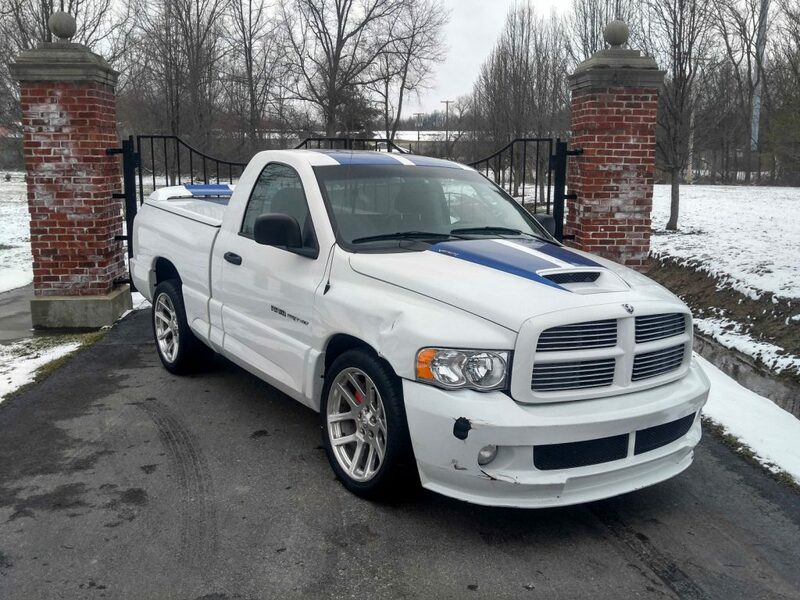 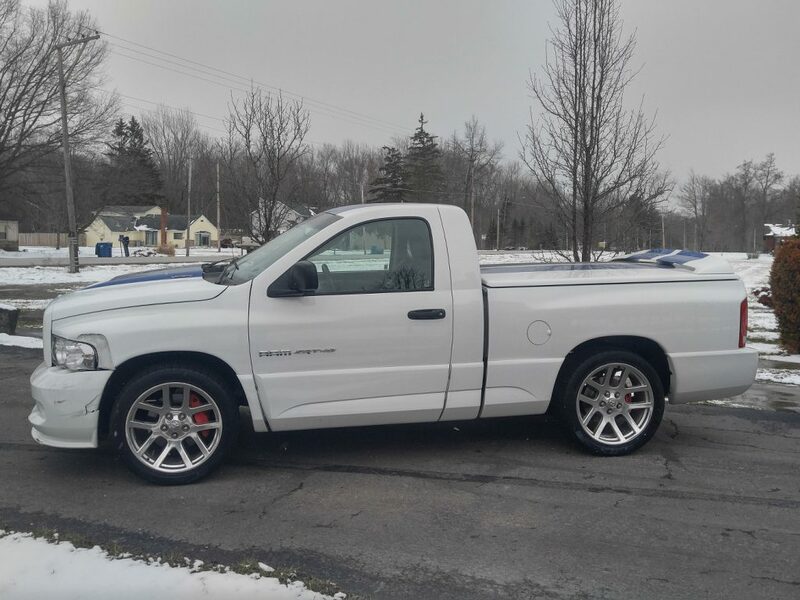 This truck is optioned out with all of the performance and luxury components that you expect from the SRT line and includes options exclusive to the Commemorative Edition. 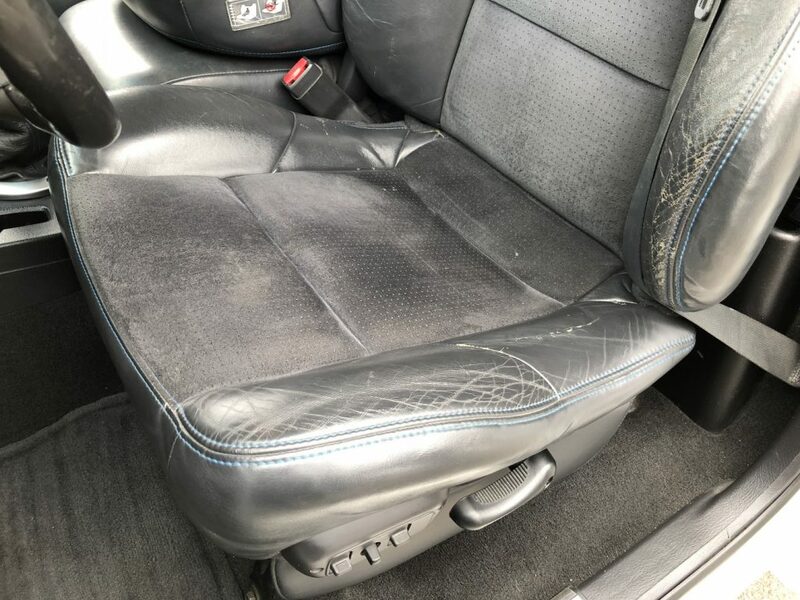 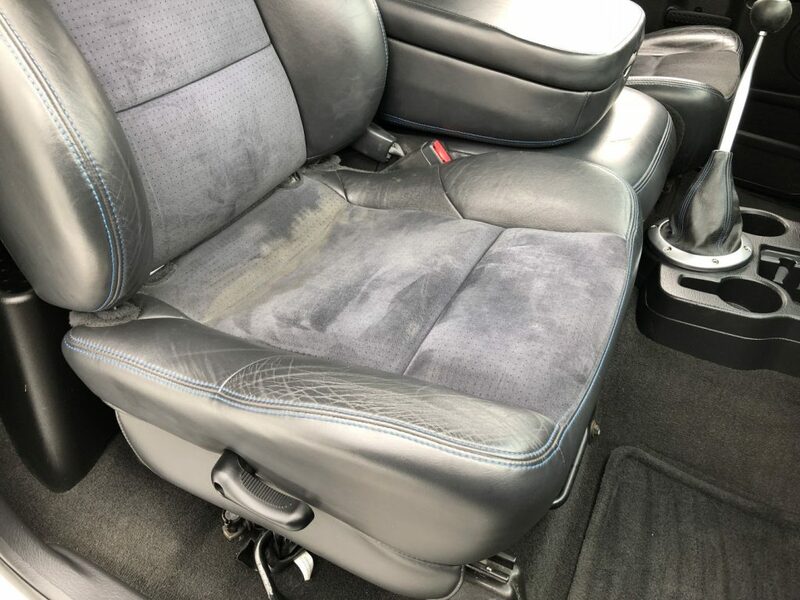 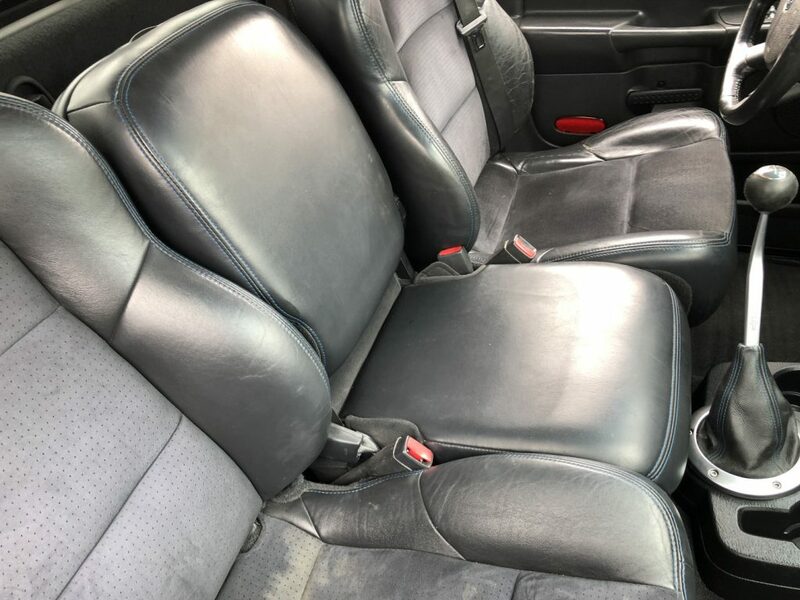 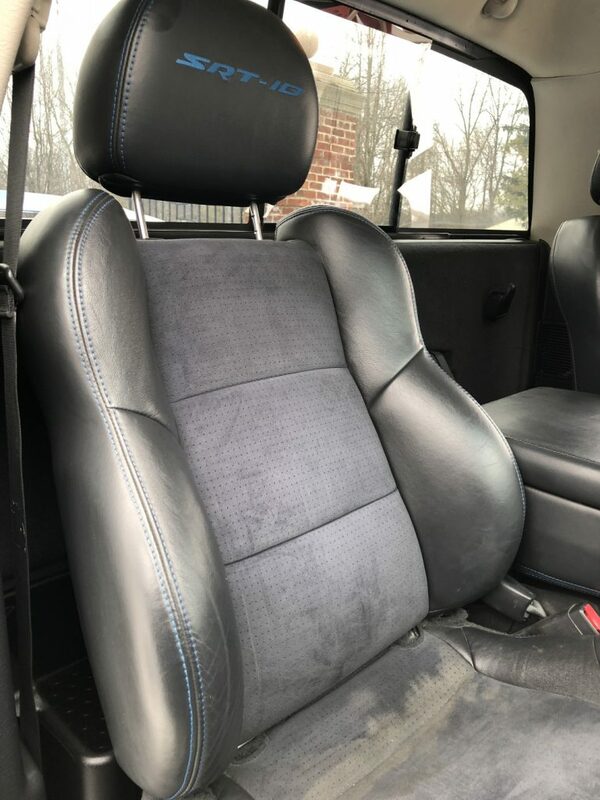 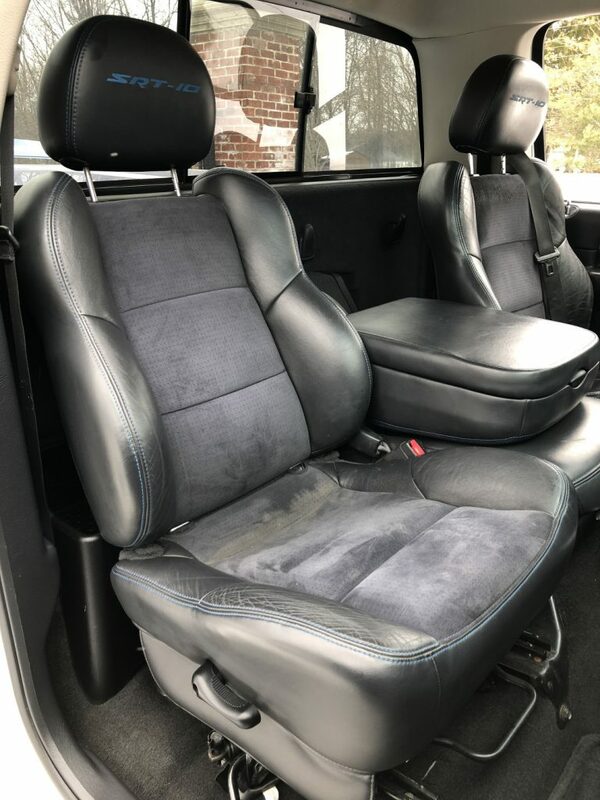 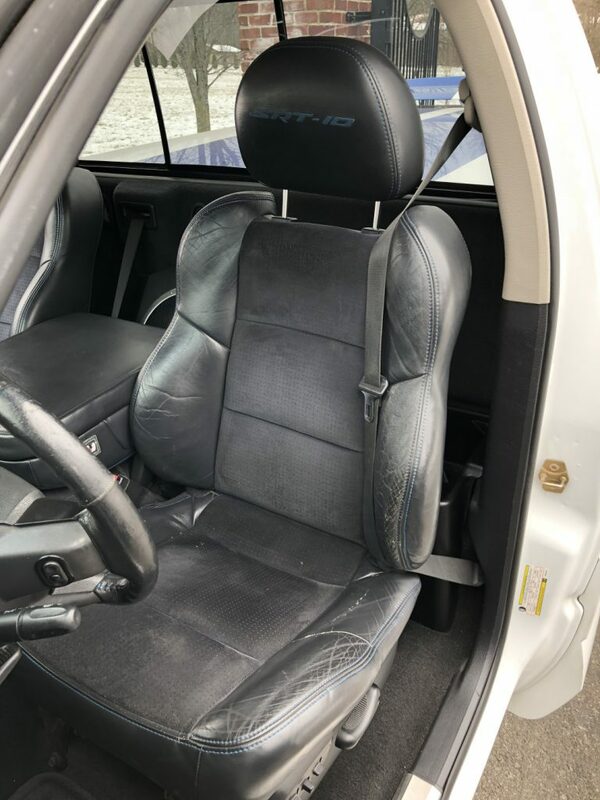 The leather and suede seats, steering wheel, and shift boot feature blue stitching. 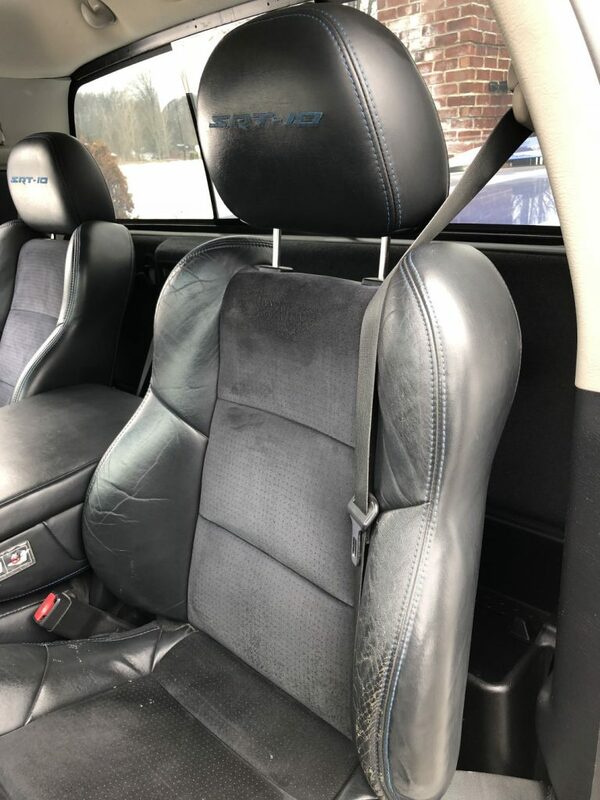 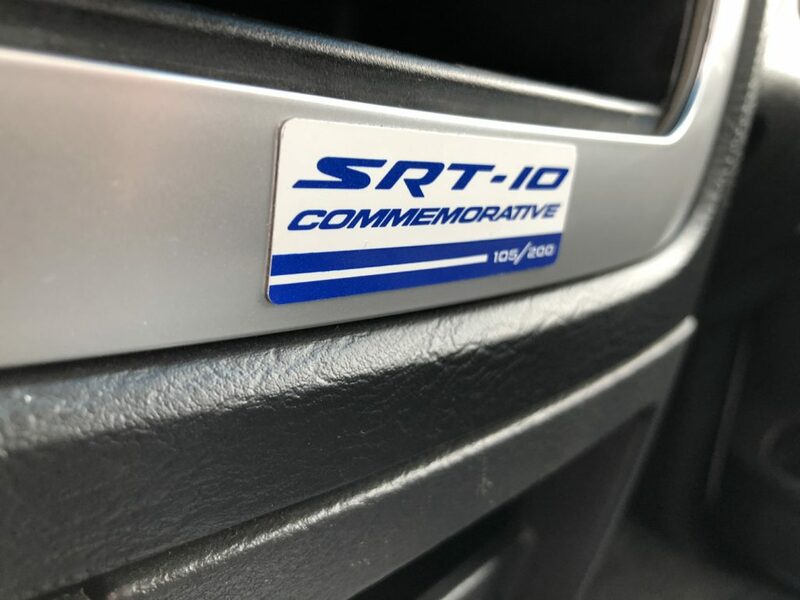 The head rests also have “SRT-10” embroidered with blue stitching. 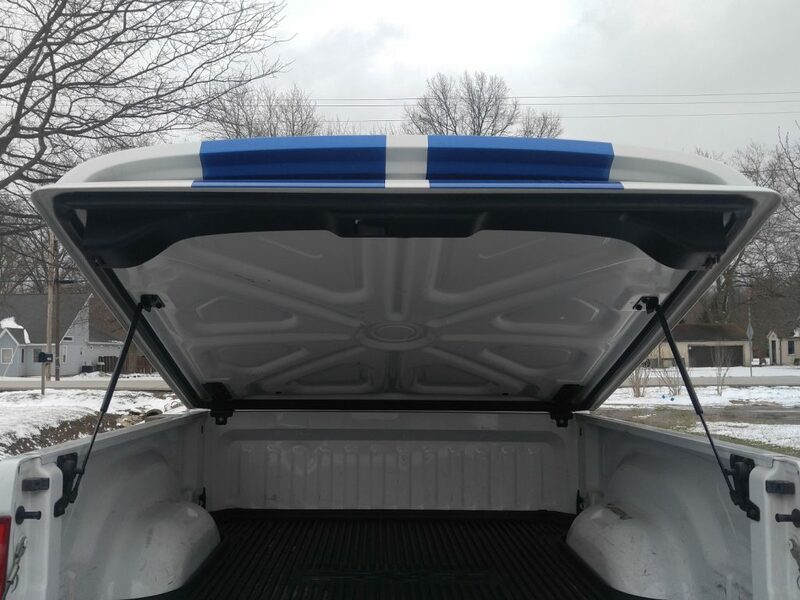 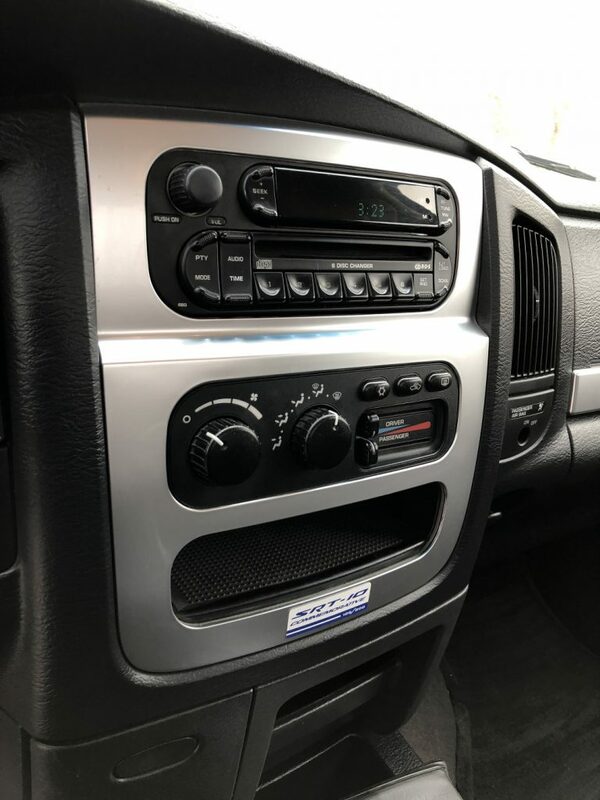 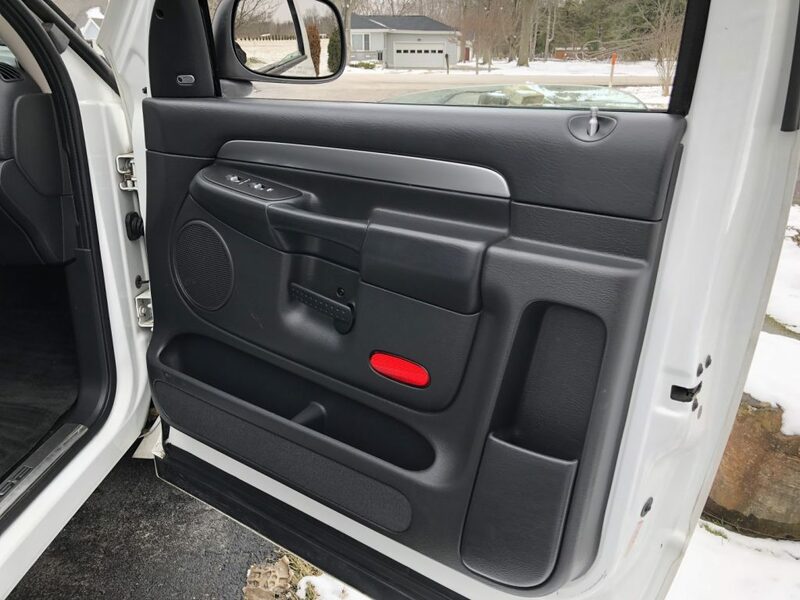 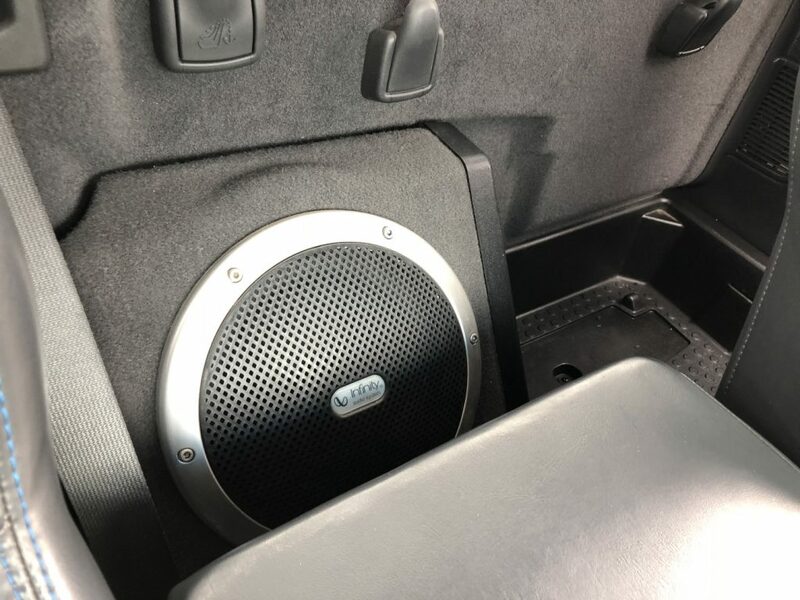 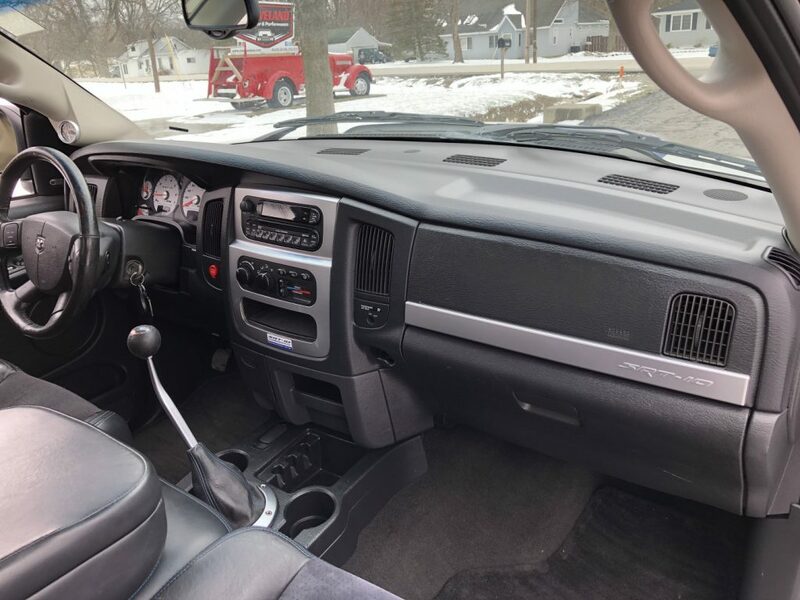 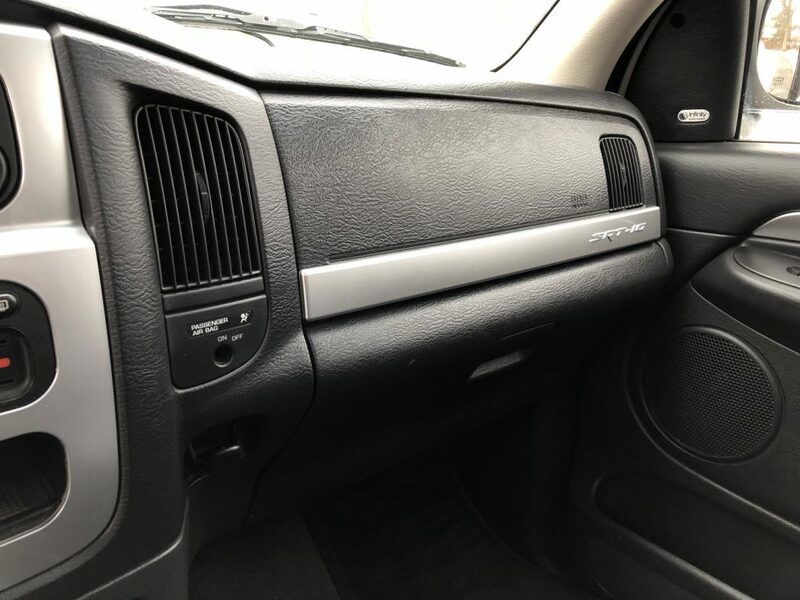 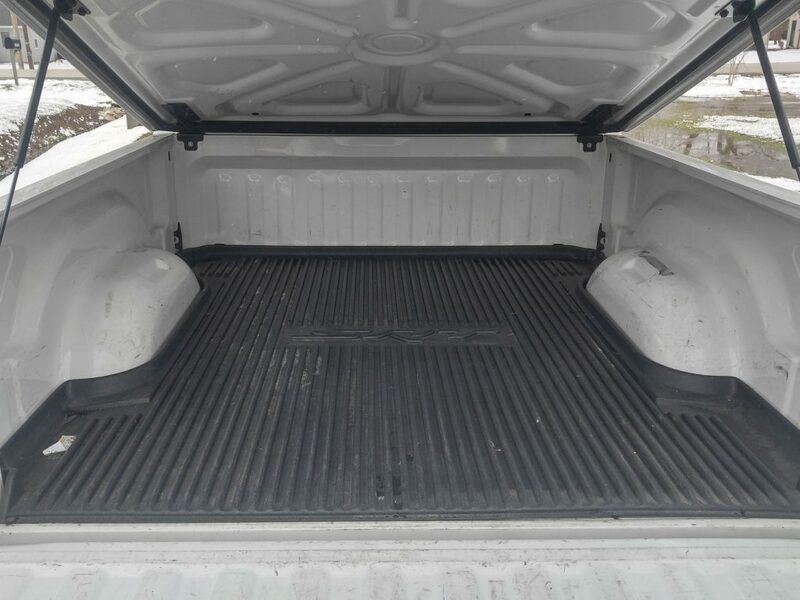 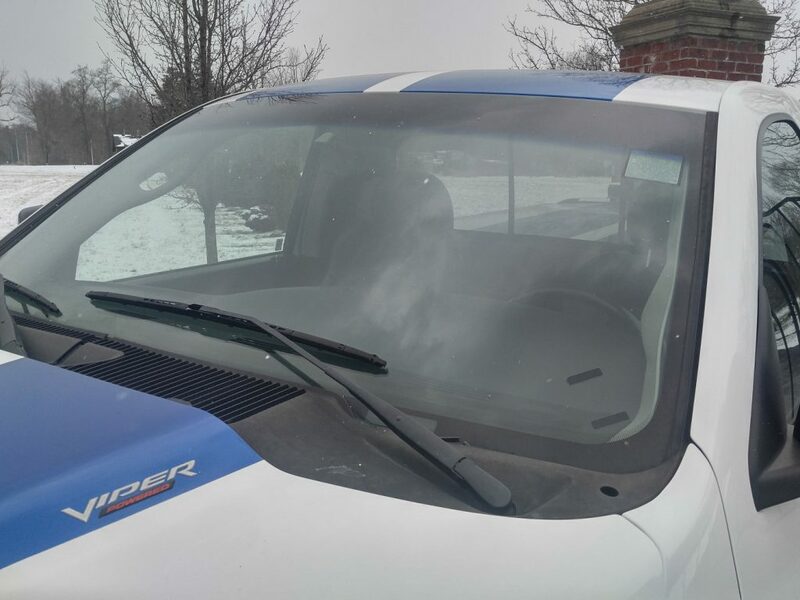 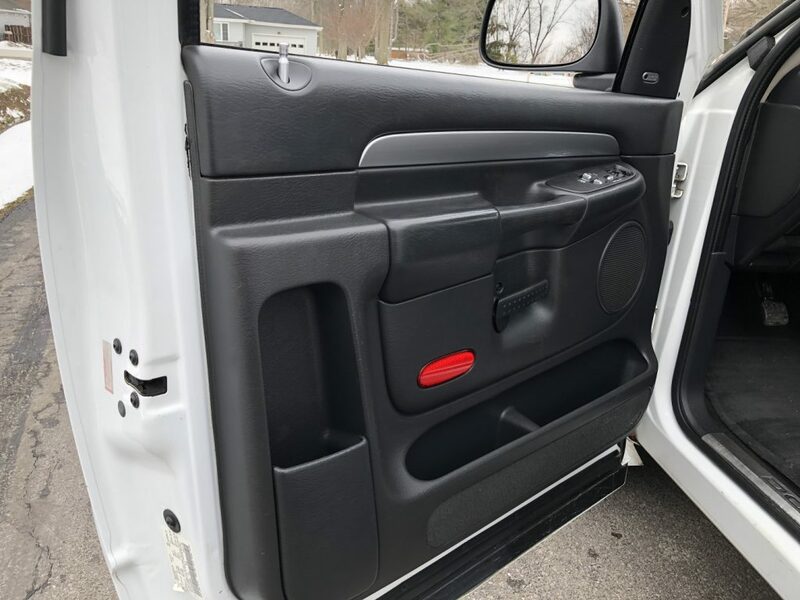 This truck is also equipped with an Infinity sound system that includes a subwoofer, color matching hard tonneau cover with spoiler, and more. 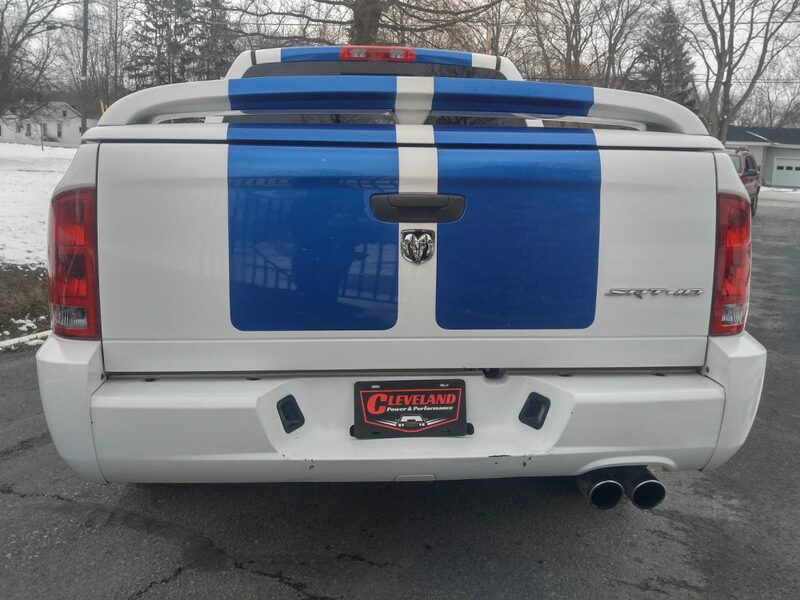 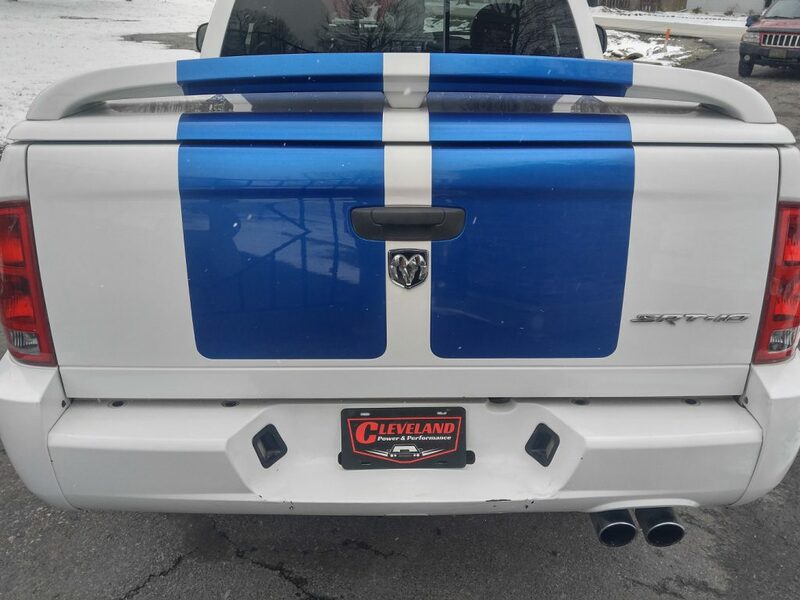 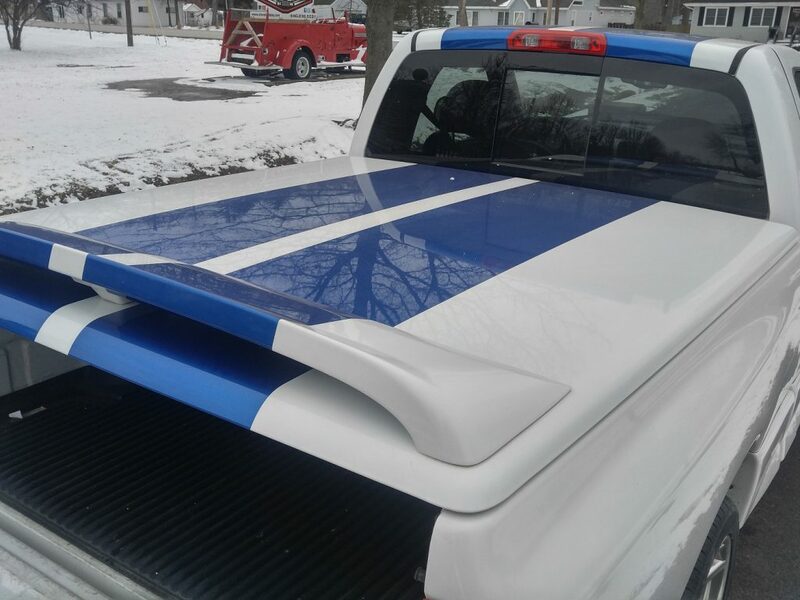 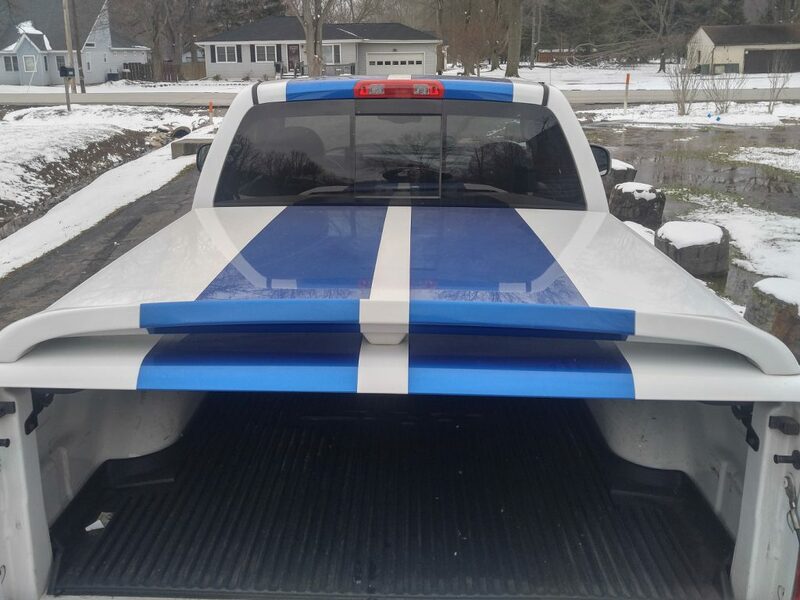 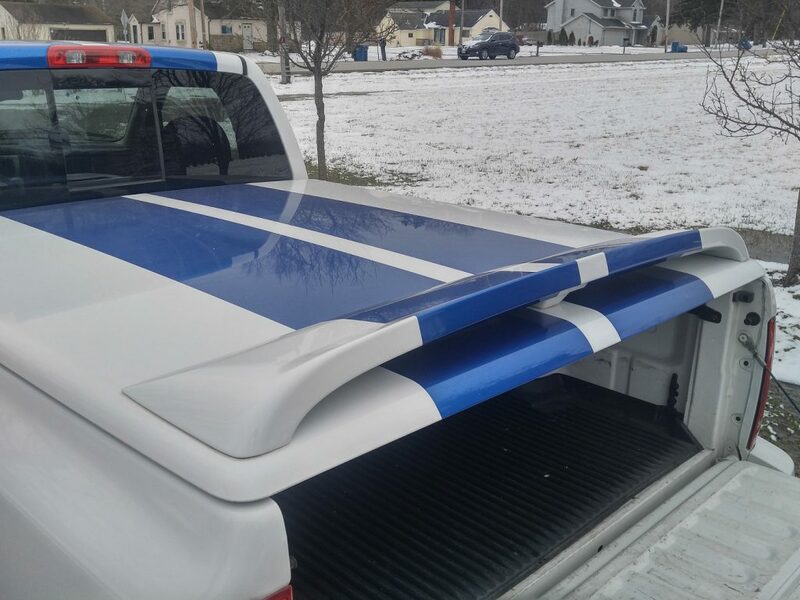 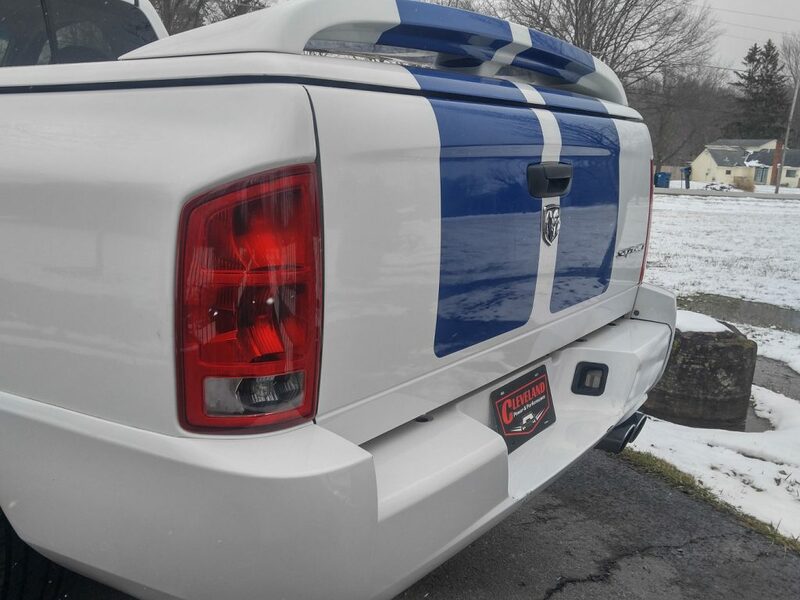 This Ram is painted “Bright White” and has “Electric Blue” stripes, a color combo only produced on the Commemorative Edition trucks. 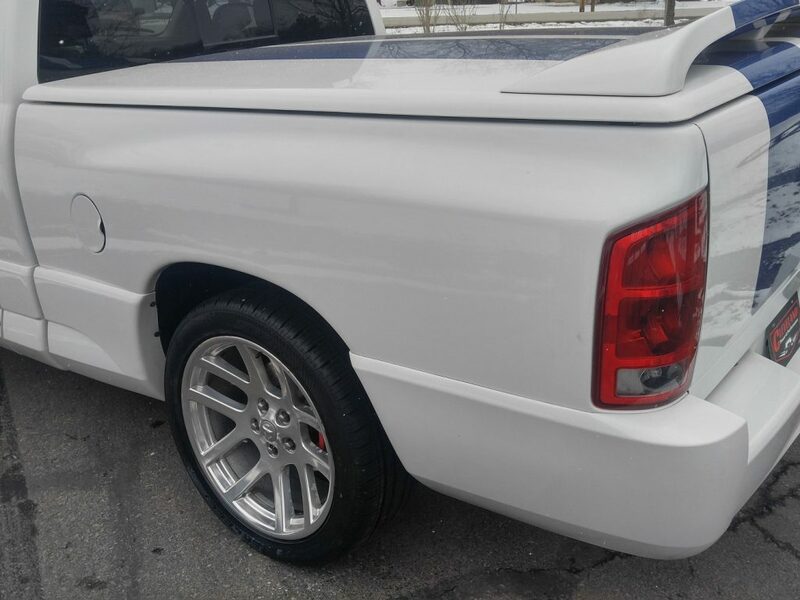 This Ram is sitting on four OEM 5 spoke polished wheels. 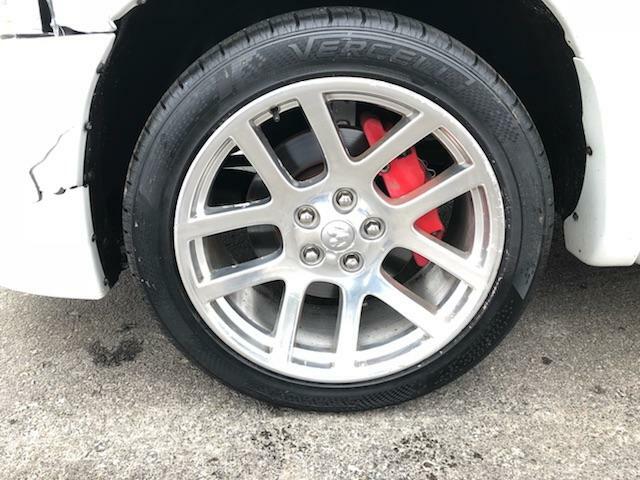 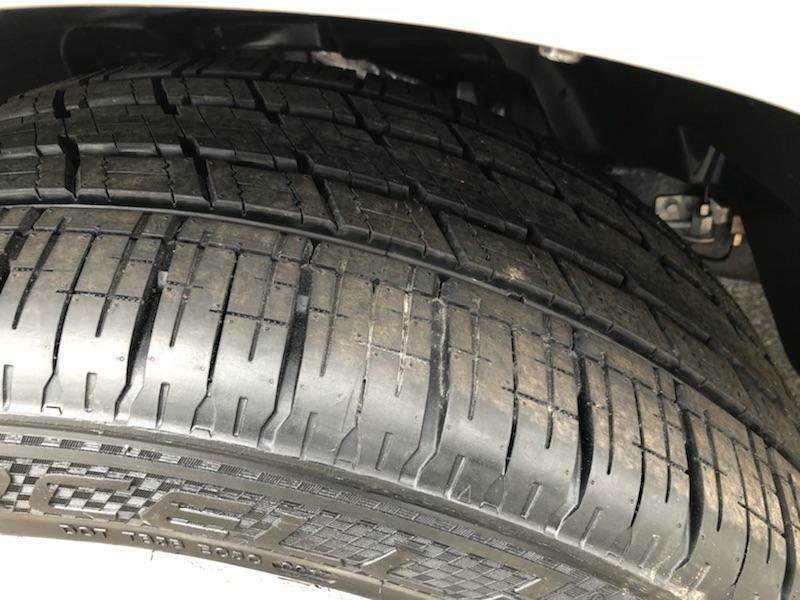 All four wheels are wrapped in BRAND NEW 305/40/22 Vercelli Strada tires. 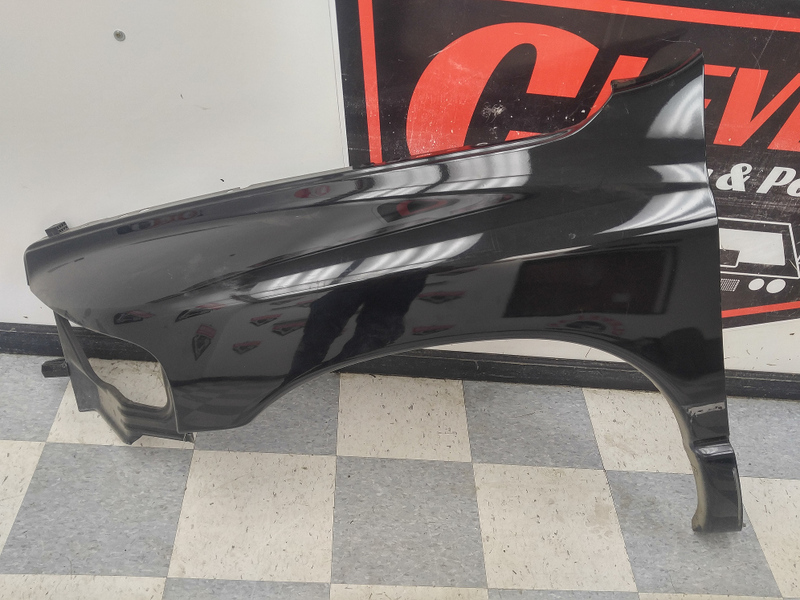 We have two decent fenders that we will include at no additional cost to help the buyer rebuild the truck.